It's making us miss our old charm bracelets, TBH. Then the next, it's short and sleek. Her latest hairstyle, though, is bringing us back to the days when we would collect cute charms for our bracelets. 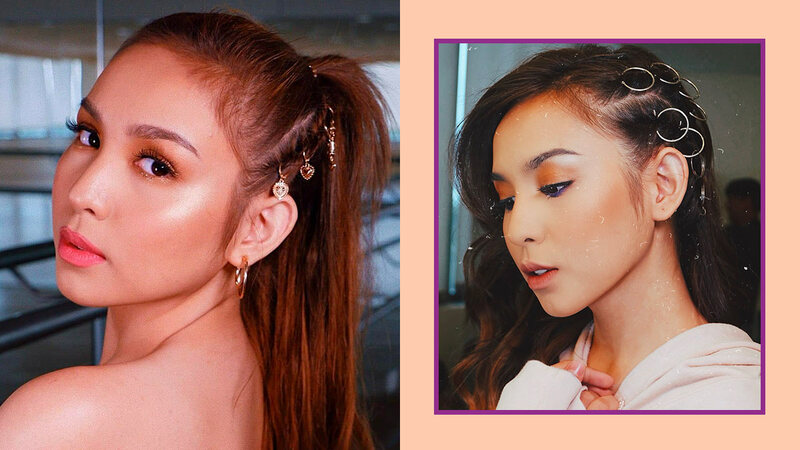 Her hairstylist, Nelly Segirl, simply tied her strands up into a high ponytail to make the gold charms the star of the show. And did you notice? They match her earrings and eyelids, too!